Scopri tutto su mind against, concerti, eventi, news e molto altro! Expressing a musical venture which draws from the combined roots of IDM, house and techno, Mind Against are the Italian-born, Berlin-based duo of Alessandro and Federico Fognini. Their gift for creating emotion through the synths and percussive instruments in their studio translates uniquely onto the dancefloor, where their slick, moving take on techno makes for a special kind of peak in the club. They draw from the psychedelic hooks of 1980s soundtracks and from modern dance music’s emphasis on sound design to create a distinctive and immensely powerful sound. 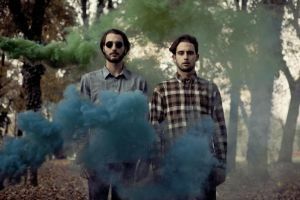 In 2012 they recorded and released their first single ‘Cagliostro’ on breakthrough label Life and Death, following that up by essential collaborations with Tale Of Us and Somne for the same label and compilation appearances on Sven Vath’s Cocoon and Recondite’s label Plangent. Through a string of remixes, Mind Against leant their touch to the work of, amongst others, Art Department, Róisín Murphy and Green Velvet. More recently also for SHDW & Obscure Shape and Hakimonu, inspiring a remix EP of the latter’s “Insular Realms” through a masterstroke club edit. All the while, they have become consumate and globally in-demand DJs, dazzling at many of electronic music’s leading clubs and festivals. Their understanding of each other plays out in the dynamism of their joint DJ sets, where a refined selection and intricate mixing forms a journey like no other. Case in point: their revered Essential Mix from 2016. Mind Against’s discography has grown with standout releases for Tale Of Us’ Afterlife label and Scuba’s Hotflush, including further collaborations with Locked Groove and Aether. In 2018, they will return to the Afterlife label with a new EP and continue enchant the crowds they play for.